This year one of our goals is to explore the full “mixed reality continuum” of experiences. We want to find and learn from those that blend digital and physical objects in meaningful ways for academic (or non-academic) purposes to better understand the possibilities. I wanted to share a resource that I have found particularly inspiring and helpful. It has really challenged me to think about immersive experiences differently. To date, our Penn Libraries Teaching, Research, and Learning team has been experimenting with the production of immersive media including 360-video, mobile augmented reality triggers (AR Valentines this week! ), workflows for Unity, etc. We can now create new forms of digital assets and this informs our work. However, if we truly want to leverage data in the world and objects around us to create meaningful learning experiences across mind, place, time, and community1, we need a more expansive and integrated approach. 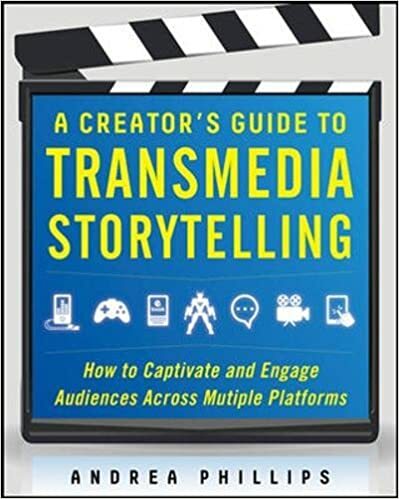 A Creator’s Guide to Transmedia Storytelling: How to Captivate and Engage Audiences Across Multiple Platforms offers a path worth pursuing. The book is accessible, inspiring, and pragmatic. redundancy between media is avoided. Fragmentation is a key concept and should be embraced. Some well-known early examples include the Blair Witch Project, Star Wars, and blogs and tweets (below) written by characters from TV series. While transmedia storytelling has been used successfully to market film and television franchises, there have been and are examples unrelated to marketing. Just as we can tell fictional stories, we can also tell non-fictional stories across multiple media venturing into journalism, medicine, physics, performances, exhibits, research, and teaching and learning in a wide variety of disciplines. What I find most exciting about the design and production of immersive, transmedia experiences is the demand for systems thinking, intentional learning design, teamwork, rapid iteration, and an expectation that the work invites and celebrates the audience. There are so many ways we can imagine employing a transmedia storytelling approach to support learning. Further, as physical spaces and objects are increasingly imbued with layers of digital information, new possibilities emerge (as well as new complexities). Help us figure this out! If you are in the process of designing a transmedia, immersive experience, we’d love to learn about it and invite you to share your insights with the PennImmersive community! If we can help in any way, please contact kimeke[at]upenn.edu. Alternate Reality Games are a subset of transmedia stories that play out in real-time over some specified period of time. ARGs blend the physical and digital across multiple platforms, provide direct communication with the audience, and present unique support requirements for those behind-the-scenes running them. Expand your thinking about what it means to be engaged in an experience. Find an exhibit near you or in a city you’re visiting. The Guide To Everything Immersive: Immersive theater, virtual reality, escape rooms, site-specific dance/art, and more.